A very well presented top floor apartment located in a sought after Merchant City locale. This excellent apartment is accessed via a well kept communal courtyard with secure entry and comprises of large internal hallway with storage cupboard giving access to the family bathroom with three piece suite and shower over bath, double bedroom with fitted wardrobes and lounge area. The spacious lounge is open plan to the modern kitchen with fitted appliances extending to washer/dryer, oven, hob and fridge. 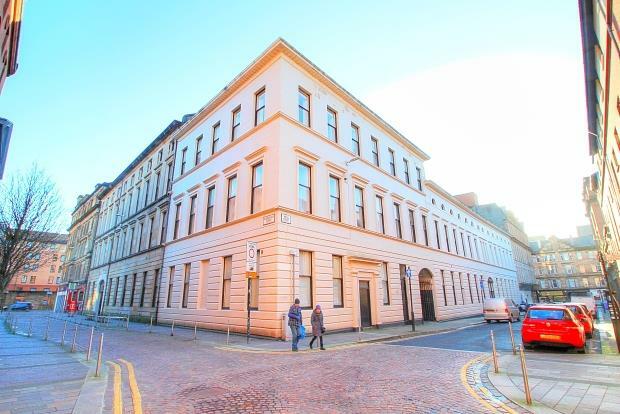 With modern furnishings, neutral decor and practical laminated wood flooring throughout, early viewing is highly recommended for this excellent Merchant City apartment with all of Glasgows fantastic shops, bars and restaurants on the doorstep.